two cross gravestones peep over the cemetery wall at St Andrews. The HDR process really shows the detail of the sandstone wall. 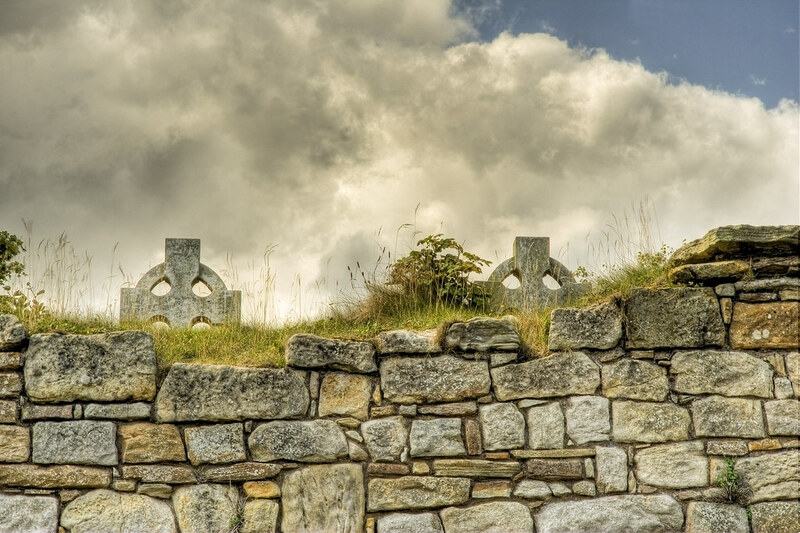 This entry was posted in Scotland, St Andrews and tagged clouds, cross, fife, grave stone, hdr, Medieval, Scotland, scottish, skreid, St Andrews, wall. Bookmark the permalink.